Sir Henry James Sumner Maine (August 15, 1822 - February 3, 1888) was an English comparative jurist and historian, son of Dr James Maine, of Kelso, Borders, Scotland. He is famous for the thesis, outlined in "Ancient Law", that law and society developed "from status to contract". In the ancient world individuals were tightly bound by status to traditional groups, while in the modern one, in which individuals are viewed as autonomous beings, they are free to make contracts and form associations with whomever they choose. Because of this thesis, he can be seen as one of the forefathers of modern sociology of law. He was at school at Christ's Hospital, and thence went up to Pembroke College, Cambridge, in 1840. At Cambridge he was one of the most brilliant classical scholars of his time. He won a Craven scholarship and graduated as senior classic in 1844, being also senior chancellor's medallist in classics. Shortly afterwards he accepted a tutorship at Trinity Hall. In 1847 he was appointed regius professor of civil law, and he was called to the bar three years later; he held this chair till 1854. Even the rudiments of Roman law were not then included in the ordinary training of English lawyers; it was assumed at the universities that any good Latin scholar could qualify himself at short notice for keeping up such tradition of civilian studies as survived. Maine cannot have known much Roman law in 1847, but in 1856 he contributed to the Cambridge Essays the essay on Roman law and legal education, republished in the later editions of Village Communities, which was the first characteristic evidence of his genius. Meanwhile he had become one of the readers appointed by the Inns of Court, in the first of their many half-hearted attempts at legal education, in 1852. Lectures delivered by Maine in this capacity were the groundwork of Ancient Law (1861) (See Wikisource), the book by which his reputation was made at one stroke. Its object, as stated in the preface, was "to indicate some of the earliest ideas of mankind, as they are reflected in ancient law, and to point out the relation of those ideas to modern thought." Within a year of its publication the post of legal member of council in India was offered to Maine, then a junior member of the bar with little practice, few advantages of connection, and no political or official claims. He declined once, on grounds of health; the very next year the office was again vacant. This time Maine was persuaded to accept, not that his health had improved, but that he thought India might not make it much worse. It turned out that India suited him much better than Cambridge or London. He was asked to prolong his services beyond the regular term of five years, and returned to England in 1869. The subjects on which it was his duty to advise the government of India were as much political as legal. They ranged from such problems as the land settlement of the Punjab, or the introduction of civil marriage to provide for the needs of unorthodox Hindus, to the question how far the study of Persian should be required or encouraged among European civil servants. Plans of codification were prepared, and largely shaped, under Maine's direction, which were implemented by his successors, Sir J Fitzjames Stephen and Dr Whitley Stokes. The results are open to criticism in details, but form on the whole a remarkable achievement in the conversion of unwritten and highly technical law into a body of written law sufficiently clear to be administered by officers to many of whom its ideas and language are foreign. All this was in addition to the routine of legislative and consulting work and the establishment of the legislative department of the government of India. Maine's power of swiftly assimilating new ideas and appreciating modes of thought and conduct remote from modern Western life came into contact with the facts of Indian society at exactly the right time, and his colleagues and other competent observers expressed the highest opinion of his work. In return Maine brought back from his Indian office a store of knowledge which enriched all his later writings, though he took India as an explicit theme only once. 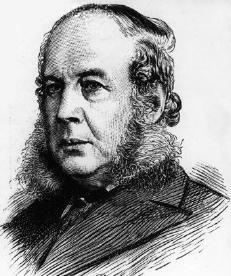 This essay on India was his contribution to the composite work entitled The Reign of Queen Victoria (ed. TH Ward, 1887). As vice-chancellor of the university of Calcutta, Maine commented on the results produced by the contact of Eastern and Western thought. Three of these addresses were published, wholly or in part, in the later editions of Village Communities; the substance of others is understood to be embodied in the Cambridge Rede lecture of 1875, which is to be found in the same volume. Maine became a member of the secretary of state's council in 1871, and remained so for the rest of his life. In the same year he was gazetted a K.C.S.I. In 1869 Maine was appointed to the chair of historical and comparative jurisprudence newly founded in the University of Oxford by Corpus Christi College. Residence at Oxford was not required, and the election amounted to an invitation to the new professor to resume and continue in his own way the work he had begun in Ancient Law. During the succeeding years he published the principal matters of his lectures in a carefully revised literary form: Village Communities in the East and the West (1871); Early History of Institutions (1875); Early Law and Custom (1883). In all these works the phenomena of societies in an archaic stage, whether still capable of observation or surviving in a fragmentary manner among more modern surroundings or preserved in contemporary records, are brought into line, often with singular felicity, to establish and illustrate the normal process of development in legal and political ideas (see freedom of contract). In 1877 the mastership of Trinity Hall, Cambridge, where Maine had formerly been tutor, became vacant. There were two strong candidates whose claims were so nearly equal that it was difficult to elect either; the difficulty was solved by a unanimous invitation to Maine to accept the post. His acceptance entailed the resignation of the Oxford chair, though not continuous residence at Cambridge. Ten years later considerations of a similar kind led to his election to succeed Sir William Harcourt as Whewell professor of international law at Cambridge. His brief performance in this office is represented by a posthumous volume which had not received his own final revision, International Law (1888). Meanwhile Maine had published in 1885 his one work of speculative politics, a volume of essays on Popular Government, designed to show that democracy is not in itself more stable than any other form of government, and that there is no necessary connexion between democracy and progress. The book was deliberately unpopular in tone; it excited much controversial comment and some serious discussion. In 1886 there appeared in the Quarterly Review (clxii. 181) an article on the posthumous work of JF McLennan, edited and completed by his brother, entitled "The Patriarchal Theory". The article, though necessarily unsigned (in accordance with the rule of the Quarterly as it then stood), was Maine's reply to the McLennan brothers' attack on the historical reconstruction of the Indo-European family system put forward in Ancient Law and supplemented in Early Law and Custom. Maine was generally averse from controversy, but showed on this occasion that it was not for want of controversial power. He carried the war back into the invader's country, and charged JF McLennan's theory of primitive society with owing its plausible appearance of universal validity to general neglect of the Indo-European evidence and misapprehension of such portions of it as McLennan did attempt to handle. Maine's health, which had never been strong, gave way towards the end of 1887. He went to the Riviera under medical advice, and died at Cannes on the 3rd of February 1888. He left a wife, Jane, and two sons, of whom the elder died soon afterwards. An excellent summary of Maine's principal writings may be seen in Sir Mountstuart Grant Duff's memoir. The prompt and full recognition of Maine's genius by continental publicists must not pass unmentioned even in the briefest notice. France, Germany, Italy, Russia have all contributed to do him honour: this is the more remarkable as one or two English publicists of an older school signally failed to appreciate him. Maine warned his countrymen against the insularity which results from ignorance of all law and institutions save one's own his example has shown the benefit of the contrary habit. His prominent use of Roman law and the wide range of his observation have made his works as intelligible abroad as at home and thereby much valuable information--for example, concerning the nature of British supremacy in India, and the position of native institutions there--has been made the property of the world of letters instead of the peculiar and obscure possession of a limited class of British public servants. Foreign readers of Maine have perhaps understood even better than English ones that he is not the propounder of a system but the pioneer of a method, and that detailed criticism, profitable as it may be and necessary as in time it must be, will not leave the method itself less valid or diminish the worth of the master's lessons in its use. The rather small bulk of Maine's published and avowed work may be explained partly by a fine literary sense which would let nothing go out under his name unfinished, partly by the drawbacks incident to precarious health. Maine's temperament was averse from the labour of minute criticism, and his avoidance of it was no less a matter of prudence. But it has to be remembered that Maine also wrote much which was never publicly acknowledged. Before he went to India he was one of the original contributors to the Saturday Review, founded in 1855, and the inventor of its name. Like his intimate friend Fitzjames Stephen, he was an accomplished journalist, enjoyed occasional article-writing as a diversion from official duties, and never quite abandoned it. The practice of such writing probably counted for something in the freedom and clearness of Maine's style and the effectiveness of his dialectic. His books are a model of scientific exposition which never ceases to be literature.